I met Sarah this morning at 5:30am at Bountiful Lake. It was a little bit dark, but not too bad with clear goggles. I realized the other day that I haven't really done any long swims in preparation for the Dam 2 Dam swim coming up next month. 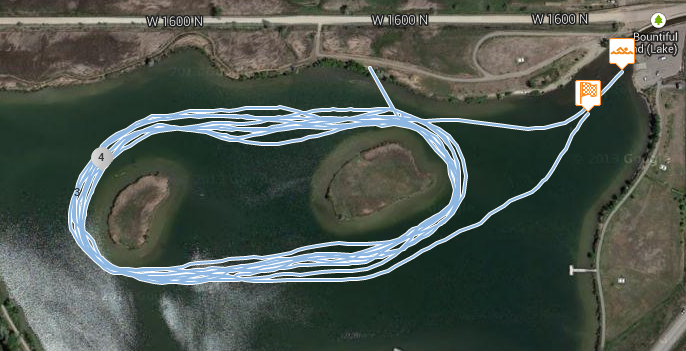 I decided I wanted to get a longer swim today and was shooting for 4 miles. Sarah was going to swim for two hours. The water felt cool getting in, but was completely comfortable once I started swimming. I didn't take a temperature, but it had to be in the upper 60's or even low 70's. I swam four laps before stopping to take a drink. I did another two laps and stopped for a drink and gel. One the last lap, I alternated swimming 200 strokes easy / 100 strokes hard. Considering that I wasn't using my regular feeds of Perpetuem, I felt pretty good. I caught glimpses of Sarah here and there, but she was done and gone before I finished. Towards the end there were a lot of people fishing, a couple of them were out on boats. One guy was nice enough to guide me safely through the three fishing lines he had in the water. Here is the link to the data from my HydroTracker. I still need to get in some more long swims before August. 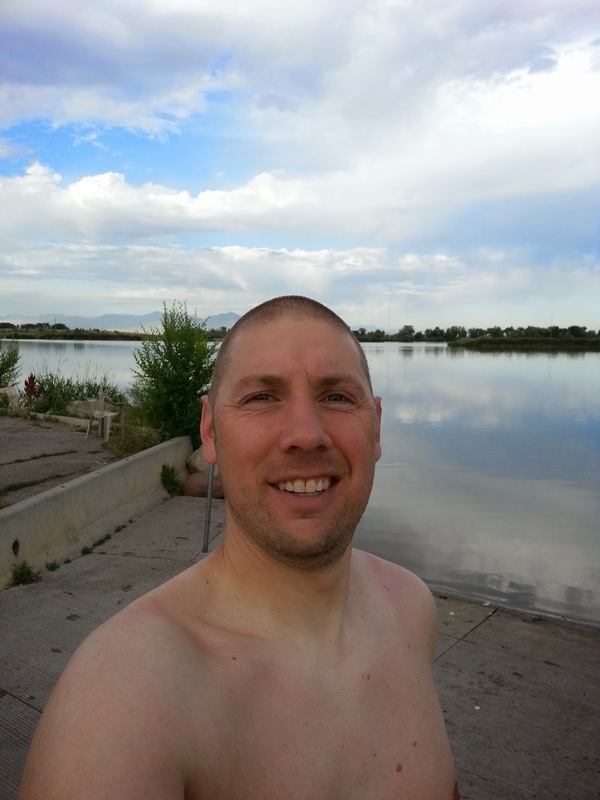 Hopefully at the SLOW Swim Trek at Flaming Gorge I'll be able to do at least a 10K. It’s such an awesome blog with a little information about the Bountiful Lake. I have listened about this lake very first time but it’s interesting and I like to visit there after boston to washington dc tours. I really like swimming and kayaking so I think this place is perfect for my next visit. Here I’ll go with my friends and we’ll do lots of boating and fishing too.